ONE Championship is heading back to the Philippines for the 13th time on April 20 with a historic live event in the heart of Manila. The promotion will hold ONE: HEROES OF HONOR at the 20,000-capacity SM Mall of Asia Arena in Manila, Philippines. 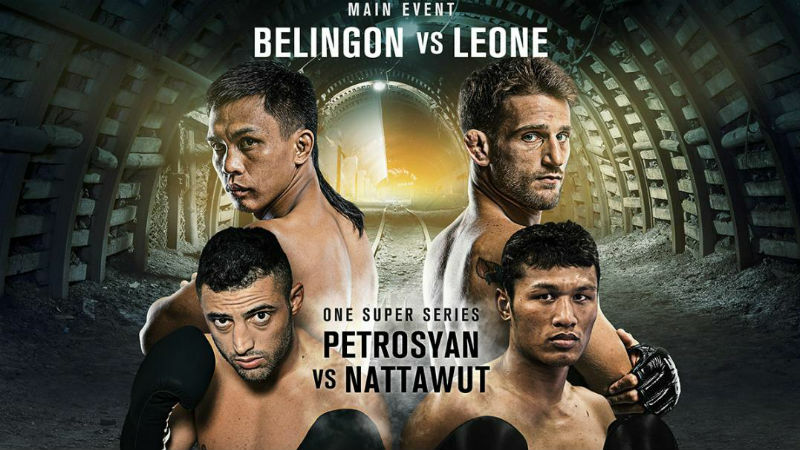 In the debut of its five-rope ring, ONE Championship has booked a trio of much-awaited striking-only contests, including the marquee match-up between Giorgio “The Doctor” Petrosyan and “Smokin’” Jo Nattawut. “I am ready to face any opponent inside that ring. I have nothing to say to Giorgio Petrosyan. On April 20, I will be in the ring to give the answers, using my fists and kicks,” Nattawut stressed. “It’s the best facing the best on the 20th of April in Manila. The world’s pound-for-pound king takes on an international rising superstar from Asia. There are too many angles and stories to make specifically for this bout. It is only fitting to have this match-up as the headliner of the first ONE Super Series,” he said.